This silver lame purse has an 11" silver-tone chain handle which can be tucked in and carried as a clutch. It has a black fabric lining and a textured circular silver-tone closure which looks like a flower whose petals have all turned downward. 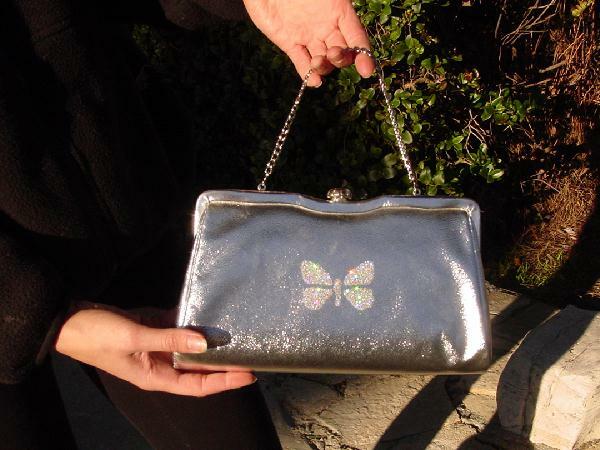 Eden added her signature butterfly in silver glitter on the front to make this vintage purse more striking and unique.